Judging strictly by recent headlines, you might think this is an epic fire season; a “grim beginning to California fire season,” with conflagrations "raining fire from the sky,” as recent reports have characterized it. In fact, this year is on par with last year and not too far askew from longer-term averages, says fire scientist Scott Stephens. “In some ways this fire season is comparable or even a little less severe,” says Stephens, who runs the Stephens Lab at UC Berkeley. Granted, we haven’t made it through August and September yet, which are normally two of California’s biggest fire months. The Santa Ana winds in Southern California and the Diablos farther north, which can spread fire quickly, also haven’t yet kicked in. And there have been fewer lightning-caused fires, which could change once the late summer monsoons bring thunderstorms to Southern California. 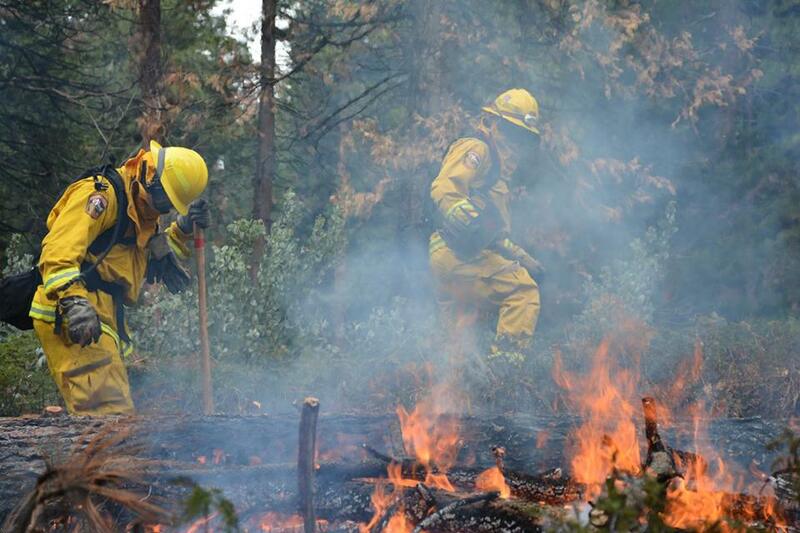 Today, we’re almost halfway through fire season; 4,446 fires have charred nearly 218,000 acres. 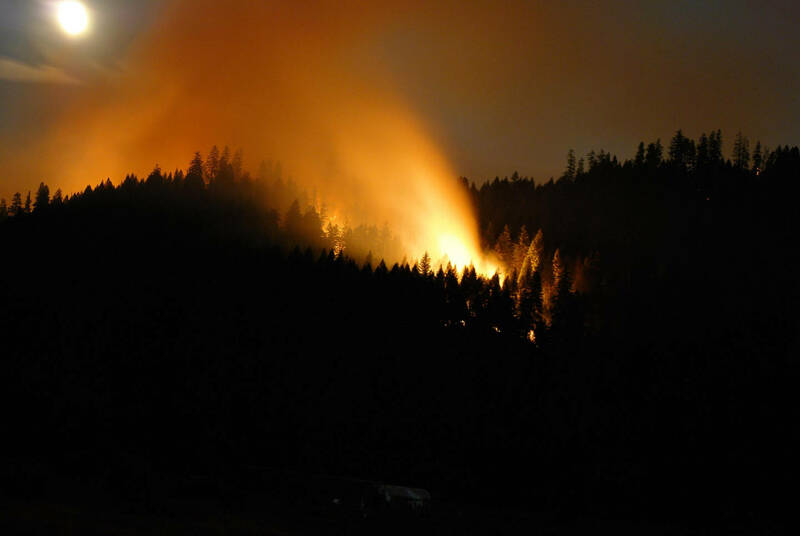 By the end of last year 8,745 wildfires had claimed more than 893,000 acres. “We’re seeing large fires but it hasn’t been record-breaking,” says U.S. Forest Service Fire Information Officer Stanton Florea. One big difference between this fire season and the summer of 2015: the El Niño-fueled rainfall we saw in between. It’s meant that the state overall was much drier last year. About 92 percent of the state was classified as being in "severe drought" by mid-August last year and today, that number is below 60 percent, according to the federal Drought Monitor. Unfortunately, storms that soaked areas like Eureka and Crescent City near the Oregon border didn’t reach Southern California. Florea says that’s reflected in the pattern of fires this year. “Southern California missed a lot of that moisture so we’ve already begun to see catastrophic fires down there on the Angeles National Forest and the Los Padres National Forest,” says Florea. Two of the largest conflagrations, the Sand Fire and the San Gabriel Complex Fire in the Angeles National Forest, have burned almost 47,000 acres. However, the Soberanes Fire in Monterey County remains the biggest of the season. “In Big Sur, they had the perfect storm of an ignition at a bad time and really inaccessible, steep terrain, on top of a lot of dry fuels,” says University of California fire advisor Lenya Quinn-Davidson. The quirks of an individual fire season can easily mask longer-term trends. Even in this years spotty fire pattern, scientists see the fingerprints of long-term climate change. California is heating up. This year's Sierra snow melt has been running weeks ahead of its normal timing. And compared to 20 years ago, the Berkeley professor says Sierra snows dissipate about 10-15 days earlier. “It doesn't sound like much," Stephens notes, "but 15 days more with no precipitation on the ground in terms of snow is just going to compound the dryness of our systems." California's changing climate has helped stretch out the fire season, which the U.S. Forest Service says now averages 78 days longer than in 1970. "What's changing things is climate change," says Stephens, "And this is real."